When this view into 2018 was developed, Senate failures to repeal, replace, or change the Affordable Care Act (ACA) had occurred, and left the market unchanged from a legislative perspective. Regardless, relentless market change before and after the implementation of the ACA has left ACA exchanges in financial trouble, providers facing decreased reimbursement, and consumers with limited access to plans by metropolitan statistical area across the country. As a result, commercial health insurance through traditional carriers and employer self-funded market trends have been re-energized. Many trends from the past 2 years continue, albeit in a transformed way because of the effect of unknown change in the public (ie, government) sector market, along with the tax reform legislation. Information technology remains important, but its user base and timing to deliver information are shifting, along with potential disruptive applications that will, in their own way, transform market trends. In addition, technology innovations will need to demonstrate a positive return on investment. A clear consumer focus has emerged, along with efforts to transform the healthcare experience to more positively use a mostly unchanged delivery system and supply chain. Going into 2018, with an eye on 2020, we have identified 8 themes that surround many key trends in this energized US market. Adding to the unique problems of rural healthcare are the decreasing number of physicians, the growth of high-deductible health plans (HDHPs), a lack of choices of private exchanges, and the opioid epidemic. Takeaway: Rural healthcare providers and hospitals will continue to turn to leveraging new technology as they experience population loss. Technologies, such as telehealth and telemedicine, and consumer health wearables or smartphones, can enable rural-based care systems to consolidate specialty care services and referrals as ways to survive and grow in an evolving market. As costs for consumers continue to rise, consumers become more engaged in making certain they are getting the best value for their money. They have come to expect transparency and choice in their healthcare experience. The success of healthcare providers will depend on their ability to meet consumers’ needs and expectations. Providers will be the primary source for education, information, and the tools that patients need to take ownership of their health. Growing in parallel with increased consumer engagement in healthcare is the increase in benefit choices offered to employees by their employers. 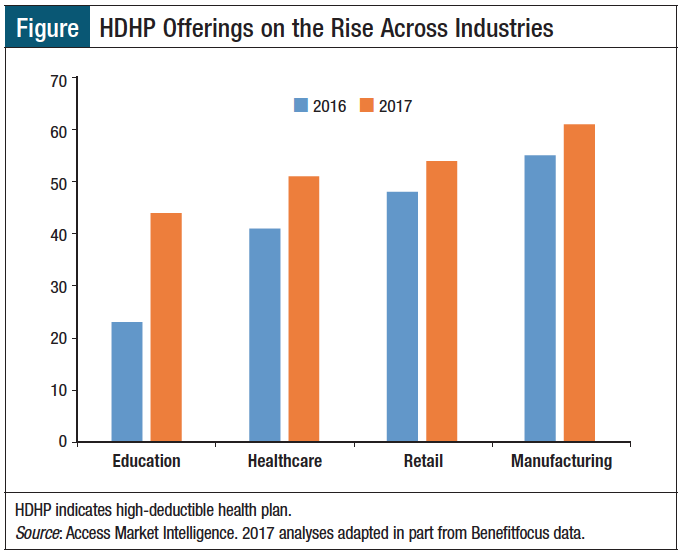 More companies are offering HDHPs alongside traditional plans, as employers look to shift some of the healthcare costs to employees. Takeaway: As patients, millennials will influence the future of healthcare in new ways, as their use of online resources and telehealth continues to grow. Like baby boomers and Generation Xers changed aspects of healthcare, millennials are fully the first generation expected to share the burden of their health benefits. They believe that healthcare costs are too high and that third-party health payers or insurers have too much power. Many companies experience a large technology gap in corporate communications. E-mail, which lags behind mobile applications in communicating immediacy, remains the primary means of workplace communications. Employees often lack access to computers or company e-mail addresses at work. Companies often do not use the most effective internal communication tools to reach their employees. The physical workplace is also changing for employers. Today’s “borderless” workforce includes those in the United States and abroad, employees in an office, those working remotely at home or at a satellite facility, and other employees who are not connected but who perform critical service functions depending on the industry. Most recently, there has been an increase in office-based employees and a decrease in home-based employees, as companies seek to optimize their customer solutions. This is a reversal from the previous trend of home-based employment to more in-office and shared office space to maximize interactions, creativity, and productivity among workers. Takeaway: As a way of improving overall communications with employees, employers will continue to expand their benefits and voluntary benefits to include critical illness coverage, fitness centers, onsite or near-site health clinics, access to convenient care retail clinics, and the possibility of localized accountable care organization (ACO)-like groups to offer a continuity of care for covered members. The Office of the Actuary at the Centers for Medicare & Medicaid Services (CMS) estimated that aggregate healthcare spending would grow at a 5.8% average annual rate from 2015 to 2025, or 1.3% higher than the expected annual increase in the gross domestic product.10 This is causing more interest in new strategies across employers for drugs or administration. Increasing the employee share contributed to the cost of brand-name prescription drugs. Employers are increasing access to mobile virtual medical care, which saves time and money and increases the quality of care and employee productivity. Overall, employers are also increasing access to centers of excellence, as they look to control costs while improving employee health outcomes. Employer innovation in offering health benefits to employees is increasing as work flexibility, paid time off, student loan repayment, and professional development are becoming routine. 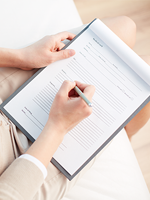 A newer offering from employers that is seeing significant change is voluntary benefits. Traditionally offered as a low-cost additional benefit to baby boomers, employers are now adding a wider variety of optional voluntary benefits, such as identity theft protection, critical illness insurance, and pet insurance, which appeal to younger employees. The variety of voluntary benefit options will force companies to rethink their employee benefit strategy as they compete to attract and retain top talent. Employees who are now facing the burden of contributing more to the costs of their health coverage are turning in greater numbers to HDHPs as a primary means of insurance, along with the possibility of retirement savings through health savings accounts. Specialty drugs are administered to less than 1% to 2% of the US population, yet they account for 38% of US prescription drug costs.14 By 2018, US specialty drug costs are expected to account for 50% of all US prescription drug costs.15 This has emerged as a strategic issue for employers. Specialty drugs continue to represent a strong research pipeline and accounted for 71% of the 24 drugs that gained US Food and Drug Administration (FDA) approval in 2016.16 As the specialty pharmacy transforms as a sector, FDA approval of specialty drugs will continue to rule the pharmaceutical landscape.16 This trend is expected to continue in 2018 under Scott Gottlieb, MD, the new FDA Commissioner, through internal efficiencies that generally speed up new drug approvals. Another key driver of increased specialty drug costs is the well-publicized periodic price increases taken by manufacturers. Specialty drugs can be covered under a payer’s pharmacy or medical benefit, or under both, depending on a payer’s plan design. To address the rapidly rising specialty drug costs, managed care organizations, including health plans, third-party administrators, pharmacy benefit managers (PBMs), and specialty pharmacies, often deploy various drug utilization and clinical management strategies to control drug utilization and costs. As interest in value-based purchasing grows, pharmaceutical manufacturers and health insurers have realized that paying for certain high-cost drugs based on the patient outcomes they deliver through value-based contracts is one way to control the drug costs. Akin to other risk-sharing or risk-based arrangements allowed by the ACA, these remain in their infancy. Value-based drug-related outcomes agreements take time and resources to capture and analyze an immense amount of data, which health plans and/or PBMs need to determine if the drug produced the promised outcome. In addition, several internal and external regulatory barriers are keeping companies from creating more outcomes-based contracts. Nonetheless, pricing will continue to remain under pressure, and the cost of care will lead into more net-cost arrangements through the larger healthcare market transformation now underway. Takeaway: Intensified scrutiny of benefits administration, benefits strategy, and drug pricing is already occurring. Pharmaceutical pricing in the supply chain, especially for specialty drugs, has taken center stage as a main driver of increasing healthcare costs. There will continue to be a concerted effort by all stakeholders to share the higher costs while increasing the use of industry-wide cost-sharing initiatives, such as value-based purchasing and net-cost contracting or direct contracting with manufacturers to manage cost trends while balancing outcomes for population health. In a typical integrated network, the payers stipulate a framework whereby provider groups agree to care for a specific patient population with the goal of reaching or surpassing a predetermined set of quality and cost benchmarks. The integration model encourages healthcare organizations to deliver value to patients and reduce the overuse of treatments. Much like an ACO, the Integrated Prevention Network establishes a framework whereby regional and/or local provider groups agree to care for a specific patient population, with the goal of reaching or surpassing a predetermined set of quality and cost benchmarks. The established framework is determined locally by the stakeholders, including the purchaser(s), the payers and administrators, and the clinical entities responsible for delivering on the stipulated care guidelines. The use of innovative diagnostics and advanced blood and genetic protocols (recognized as the gateway to prevention) will be at the core of the standardized treatment guidelines. Standard “usual and customary” fee arrangements will be replaced by the proprietary- or commodity-driven reimbursement algorithm as outlined under the Integrated Prevention Network. A standardized information technology solution will be utilized within any given geographic region to aggregate clinical outcomes, economic outcomes, and preventive standards of care. In recent years, a rapid increase has taken place in select outpatient medical services, including surgical and intervention procedures being performed in the outpatient setting, as hospitalized inpatient visits have fallen. Hospitals continue to shift from inpatient to outpatient volume as a strategy to grow their revenue. The growth in the number of ambulatory care facilities and industry consolidation, combined with reimbursement reductions and the additional use of quality-based payments, have been the drivers behind the increase in ambulatory care. Takeaway: Innovations play a key role in the advancement of healthcare delivery, and as the use of technology continues to increase, ambulatory and outpatient care will also increase, supported by consumers who will find the growth of these services saves them money on their healthcare costs. Integral to achieving savings will be integrated models to deliver successful population health outcomes from the services provided. Wearable sensors are small but crucial components of consumer technology that enables smart devices to track and monitor several parameters, such as movements, temperature, speed, muscle activity, and blood pressure. Sensors collect data about the physical and chemical properties of the body and local environment, which are used by algorithms to produce useful information. Wrist-worn wearables for entertainment and wellness and fitness applications are a key contributor to the rapidly growing market traction for these devices. Moreover, high demand and penetration of smart wearable devices have resulted in an increasing demand for wearable sensors. Based on the type, the wearable sensor market can be segmented into accelerometers, magnetometers, pressure sensors, motion sensors, force sensors, temperature, humidity sensors, gyroscopes, biosensors, image sensors, touch sensors, and others. Based on the application, the wearable sensor market can be segmented as wrist wear, eyewear, body wear, footwear, and others. Questions remain regarding these advancements, including the ability of a single wearable to produce all the data an individual will have interest in monitoring. Industry experts believe that the crucial point for wearable technology will be when consumers can connect and integrate their homes to drive efficiencies with the click of a button. Increasingly, genomics and personalized medicine enable us to get therapy customized to our own molecular makeup. To date, only a few examples of genomic information have been used in making decisions about treatment, yet the research is robust and is moving forward quickly. Government regulation will continue to play a large role in the future of genomics. Different government entities have responsibility for the separate parts that comprise genomics: CMS for labs, the FDA for kits and information, and the Federal Trade Commission for marketing. Lifestyle plans and coaching that personalize patient care through the use of genetics. Frost & Sullivan states, “Telehealth services and systems have made the most progress in remote management of post-acute care patients or among patients with chronic conditions, many of who have one or more co-morbidity. This progress is visible across 4 major segments: remote patient monitoring, virtual telehealth visits, mobile health, and personal emergency response systems.”20 Telehealth tends to be more consumer-driven, with vendors innovating new communication solutions to meet younger patients’ needs. The adoption of telemedicine technology increased from 54.5% in 2014 to 61.3% in 2016, an approximately 3.5% annual rate.21 Although a relatively small increase, the upward trend shows that organizations are embracing the need for telemedicine to better serve patients. However, problems remain for telehealth and telemedicine adoption, because of existing state regulations regarding the patient–doctor relationship and licensing. This has limited the use of telemedicine, particularly in multistate scenarios that involve a patient at home or in a nonoffice situation, when a patient may be using a mobile device. Artificial intelligence could organize patients’ treatment plans better, and could also provide physicians with all the information they need for effective decision-making. Speeding up recovery after a stroke. Takeaway: Technologic advances will continue to have a large impact on the delivery of healthcare and will affect all stakeholders in some way. The depth and breadth of the current technology applications on the market will quickly be surpassed by a robust pipeline of new offerings that surpass older ones in functionality and market transformation. To have a positive and long-lasting effect on healthcare, successful innovations must provide a meaningful return on investment, whether clinical, economic, or both. In some cases, new metrics will be needed to determine such value calculations. In the postrecession, post-ACA marketplace, there had been little significant supply chain change until 2016, when the money flow revelations regarding the pharmaceutical companies Turing, Valeant, and Mylan occurred. Those manufacturer-level insights led to a continuing release of information and analyses regarding the value propositions among the supply chain stakeholders. The middlemen that are typically within the supply chain include pharmacies, physician offices, hospitals, PBMs, distributors, and wholesalers. Although mergers and acquisitions have been happening since 2000, the focus on value and value-based purchasing since 2012 has forced another look into the supply chain, which was accelerated by the 2016 manufacturer revelations. Beyond the high costs of specialty drugs, there is a significant need for all stakeholders, especially employers, to better understand the excess costs in the value supply chain. As was seen in the logistics sector, inefficient delivery of packages or changing standards drove innovation with solution offerings. The same is now occurring at a rapid pace in the healthcare sector, where previous standards do not apply and innovation to improve outcomes of care from the system is a major driver of change; this includes the lack of transparency throughout the drug supply chain and the role of third parties (ie, middlemen) in unnecessarily increasing costs via duplicative or needless services. This is especially significant, because it is affecting the ability of employers to meet their fiduciary obligation. According to the Department of Labor, “the primary responsibility of fiduciaries is to run the plan solely in the interest of participants and beneficiaries and for the exclusive purpose of providing benefits and paying plan expenses.”26 This has provided the opportunity for middlemen in the pharmacy benefits supply chain (eg, PBMs, distributors, and wholesalers) to continue their opaque business practices, which has left self-funded plan sponsors (in general, employers) caught in the middle. Although the impact of middlemen in increasing healthcare costs has been known for decades, it has only in recent years been identified as a key issue. 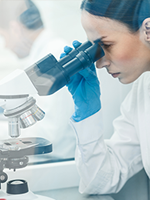 Few opportunities exist for employers to affect the cost of traditional and specialty drugs. Yet, price and rebate transparency issues continue to play a significant role in adding to the already high cost of specialty drugs, and much of this is caused by our current managed care or supply chain middlemen. There are many stakeholders concerned that PBM consolidation and vertical integration are reducing competition in healthcare. Future solutions should address the underlying issues and focus on member outcomes, plan performance, and real-time claims adjudication. 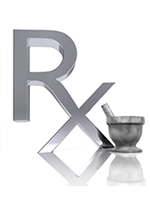 Early examples include the net cost of drugs, based on the list price at the time of dispensing and formularies. Dispensing and claim-processing using nondispensing drug utilization review services paid to be licensed professionals through separate administrative fees, which is typically done retrospectively, could be done in real time. Manufacturers (device, diagnostic, or pharmaceutical) could also be included in shared-risk arrangements for drug-related outcomes that would be measured through real-time and retrospective analyses. Recently, Amazon announced its entry into healthcare, without specifics or details as to what it plans to do. Other nonhealthcare information technology firms are focusing their research on health-based solutions that will challenge traditional drug manufacturers. With an uncertain legislative path and a nonpolitician president in the White House, economic concerns about who and how much would be paid for drugs cloud the future. Takeaway: Misaligned metrics that have been selectively, clinically or economically, driven need to be balanced in a way that relates to the multiple stakeholders who are now sharing in the outcomes of risk-taking. Patients as consumers, physicians and others as providers, and manufacturers and their supply chain, need to rethink their metrics in a more meaningful way, and with an efficiency-oriented, actionable matrix for alignment toward achieving optimal patient outcomes. Government agencies are beginning to make a difference and create change within their areas of regulatory authority. These actions affect the public and private sectors. The ACA created a tri-agency interface that includes the Department of Health & Human Services, the Treasury, and Department of Labor. Treasury. Under the ACA, the Internal Revenue Service (IRS) plays an important role in ensuring healthcare enrollment through credible insurance plans. This results in plan sponsors and employers reporting information to the IRS so that the agency can match up appropriate coverage to the costs incurred by a specific patient or member of the plan. In the absence of coverage, the IRS can levy a fine to the taxpayer. In addition, various manufacturer assistance programs may lead to fraudulent IRS reporting resulting from such programs being conducted outside of normal benefit administration and reporting systems through the plan sponsor or by the patient as a member. 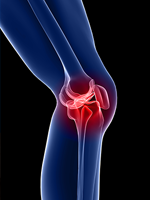 Typically, the patient is unaware of the assistance as a reportable benefit or of the amount of assistance provided. Historically, this had not been an issue, because of the small value of assistance, typically a $15 to $50 copay amount; however, with specialty drugs, the average value far exceeds the meaningful value of $300 annually set by the IRS. States. State governments find themselves under increasing cost pressure, because healthcare accounts for approximately 33% of state budgets.31 State governments do not have the same flexibility in rules and regulations to make significant changes to try to reduce healthcare costs. Takeaway: Without federal action to change the healthcare market dynamic or to empower states, the marketplace will be further fragmented by public or private sector lines being drawn. Private sector healthcare can innovate and grow with the markets’ desire to offer benefits to employees. Unlike the public sector, the Employee Retirement Income Security Act and other market factors allow for transformation that has drawn providers and insurers to focus more on the private sector. This includes continued withdrawing from ACA exchange plans, as well as reducing risk exposures by the states through limiting coverages or requiring cash payment for services to let patients determine their own reimbursement options. Although the market landscape remains unchanged from a legislative perspective, continuing market evolution has resulted in providers facing decreased reimbursement and consumers with limited access to health plans by metropolitan statistical area across the country. This has resulted in commercial health insurance through traditional carriers and self-funded employers driving market change. We identified 8 key themes that comprise many more trends that will affect the 2018-2019 US healthcare marketplace. In addition to these individual trends, the pace of change over time remains accelerated, along with economic factors that continue to deal with mitigating cost drivers. It remains to be seen what, if any, legislation comes out of Congress to the president’s desk for signature. Nonetheless, these themes will continue to move forward and play out actively in the marketplace, effectively transforming the business of healthcare from the way it was in January 2017. Dr Vogenberg and Mr Santilli have no conflicts of interest to report. Dr Vogenberg is Principal, Institute for Integrated Healthcare, Founding Partner, National Institute of Collaborative Healthcare, Greenville, SC, and Adjunct Professor, University of Rhode Island, College of Pharmacy, Kingston; Mr Santilli is President, Access Market Intelligence, Trumbull, CT, and Founding Partner, National Institute of Collaborative Healthcare. 1. American Hospital Association. Rural health care. www.aha.org/advocacy-issues/rural/index.shtml. Accessed August 10, 2017. 2. Rural America in These Times. Rural America’s population is shrinking for the first time ever. In These Times. December 13, 2017. http://inthesetimes.com/rural-america/entry/20767/rural-poverty-and-population-rural-america-at-a-glance-2017-usda-ers. Accessed January 22, 2018. 3. National Rural Hospital Association. Medicare cuts hurt rural America. www.ruralhealthweb.org/advocate/medicare-cuts-hurt-rural. Accessed September 7, 2017. 4. The IHC Forum. What is health care consumerism? www.theihccforum.com/about-the-forum/. Accessed January 22, 2018. 5. Diverse millennials now outnumber boomers: Census Bureau. CUNA News. June 26, 2015. http://news.cuna.org/articles/106544-diverse-millennials-now-outnumber-boomers-census-bureau. Accessed September 7, 2017. 6. Pew Research Center. The state of American jobs: how the shifting economic landscape is reshaping work and society and affecting the way people think about the skills and training they need to get ahead. October 6, 2016. www.pewsocialtrends.org/2016/10/06/the-state-of-american-jobs/. Accessed January 23, 2018. 7. Brown A. Key findings about the American workforce and the changing job market. Fact Tank. October 6, 2016. www.pewresearch.org/fact-tank/2016/10/06/key-findings-about-the-american-workforce-and-the-changing-job-market/. Accessed September 8, 2017. 8. Perez S. U.S. consumers now spend 5 hours per day on mobile devices. TechCrunch. March 3, 2017. https://techcrunch.com/2017/03/03/u-s-consumers-now-spend-5-hours-per-day-on-mobile-devices/. Accessed September 8, 2017. 9. Shin L. Work from home in 2017: the top 100 companies offering remote jobs. Forbes. January 31, 2017. www.forbes.com/sites/laurashin/2017/01/31/work-from-home-in-2017-the-top-100-companies-offering-remote-jobs/#18b67bb742d8. Accessed September 7, 2017. 10. Keehan SP, Stone DA, Poisal JA, et al. National health expenditure projections, 2016−25: price increases, aging push sector to 20 percent of economy. Health Aff (Millwood). 2017;36:553-563. 11. National Business Group on Health. Large U.S. employers project health care benefit costs to surpass $14,000 per employee in 2018, National Business Group on Health Survey Finds. Press release. August 8, 2017. www.businessgrouphealth.org/news/nbgh-news/press-releases/press-release-details/?ID=334. Accessed January 31, 2018. 12. Society for Human Resource Management. SHRM survey findings: 2016 strategic benefits—health care. November 30, 2016. www.shrm.org/hr-today/trends-and-forecasting/research-and-surveys/Documents/SHRM-Survey-Findings-Strategic-Benefits-Health-Care.pdf. Accessed September 7, 2017. 13. Butler L, Clark J, Galligan E, et al. The State of Employee Benefits: Insights and Opportunities Based on Behavioral Data: Midsize Employer Edition 2016. Benefitfocus; 2016. www.benefitfocus.com/sites/default/files/media/pdfs/Benefitfocus-Report-2016-State-of-Employee-Benefits-Midsize-Employer-Edition.pdf. Accessed September 8, 2017. 14. Express Scripts. Express Scripts 2015 Drug Trend Report. March 2016. https://lab.express-scripts.com/lab/drug-trend-report/~/media/e2c9d19240e94fcf893b706e13068750.ashx. Accessed September 8, 2017. 15. CVS Health. Specialty pipeline: blockbusters on the horizon. Insights Executive Briefing. 2016;Issue 5. https://payorsolutions.cvshealth.com/video/2016-forum/resources/Specialty-Pipeline-CVS-Health-Insights-Executive-Briefing-2016.pdf. Accessed September 8, 2017. 16. Santye L. Top 10 specialty cancer drug approvals of 2017. Specialty Pharmacy Times. August 16, 2017. www.specialtypharmacytimes.com/news/top-10-specialty-cancer-drug-approvals-of-2017. Accessed September 8, 2017. 17. United States Census Bureau News. Quarterly estimates for selected service industries: 2nd quarter 2016. CB 16-153. Press release. September 8, 2016. www2.census.gov/services/qss/2016/qssq2-16pr.pdf. Accessed September 9, 2017. 18. Quinlan J. The future of wearable tech. WIRED. February 13, 2015. www.wired.com/insights/2015/02/the-future-of-wearable-tech/. Accessed September 9, 2017. 19. Krishnan N. Genomics 101: understanding how the genomics revolution is changing medicine. November 14, 2016. www.linkedin.com/pulse/genomics­101-understanding-how-revolution-changing-nikhil-krishnan/. Accessed February 5, 2018. 20. Frost & Sullivan. Growth Opportunities in the US Telehealth Market, Forecast to 2021. April 6, 2017. https://store.frost.com/growth-opportunities-in-the-us-telehealth-market-forecast-to-2021.html. Accessed September 9, 2017. 21. FitzGerald B. Telemedicine adoption continues growth in 2016 and beyond. HIMSS Analytics. www.himssanalytics.org/news/telemedicine-adoption-growing-35-annually-2014. Accessed September 9, 2017. 22. Mesko B. Artificial intelligence will redesign healthcare. Medical Futurist. http://medicalfuturist.com/artificial-intelligence-will-redesign-healthcare/. Accessed September 9, 2017. 23. Mesko B. 5 ways medical virtual reality is already changing healthcare. Medical Futurist. http://medicalfuturist.com/5-ways-medical-vr-is-changing-healthcare/. Accessed September 9, 2017. 24. Global Wellness Institute. Wellness now a $372 trillion global industry—with 10.6% growth from 2013-2015. October 17, 2016. www.globalwellnessinstitute.org/wellness-now-a-372-trillion-global-industry/. Accessed February 6, 2018. 25. Greene L. How wellness trends may shape health industry in 2017. FOXNews.com. February 23, 2017. www.foxnews.com/health/2017/02/23/how-wellness-trends-may-shape-health-industry-in-2017.html. Accessed September 10, 2017. 26. United States Department of Labor. Health plans & benefits: fiduciary responsibilities. www.dol.gov/general/topic/health-plans/fiduciaryresp. Accessed September 10, 2017. 27. Sood N, Shih T, Van Nuys K, Goldman D. Follow the money: the flow of funds in the pharmaceutical distribution system. Health Affairs Blog. June 13, 2017. www.healthaffairs.org/do/10.1377/hblog20170613.060557/full/. Accessed September 10, 2017. 28. Weinberg N, Langreth R. Drug costs too high? Fire the middleman. Bloomberg Businessweek. March 3, 2017. www.bloomberg.com/news/articles/2017-03-03/drug-costs-too-high-fire-the-middleman. Accessed September 10, 2017. 29. Roberts K. Changes in the FDA under Trump: what this means for consumer health. Euromonitor International blog. March 8, 2017. https://blog.euromonitor.com/2017/03/fda-trump-consumer-health.html. Accessed September 10, 2017. 30. Scheiber N. Trump takes steps to undo Obama legacy on labor. New York Times. June 20, 2017. www.nytimes.com/2017/06/20/business/nlrb-trump-labor.html. Accessed September 10, 2017. 31. National Conference of State Legislatures. Overview: health. www.ncsl.org/research/health.aspx. Accessed September 10, 2017.